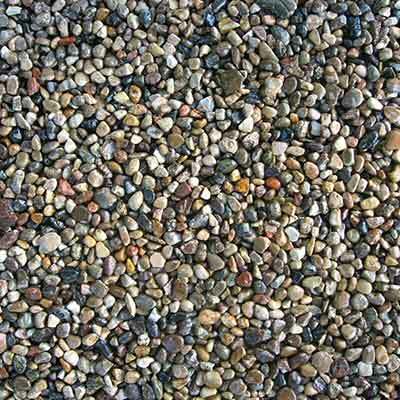 Pea gravel is small, rounded stone that is naturally formed by weatherization or erosion. It is produced by washing and screening natural gravel and can come in a variety of natural colors. Unlike crushed rock, which is angular and mined from various quarries around North America, pea gravel is collected in or near bodies of water, where rocks are smoothed and polished over time. Driveways – It is cost-saving alternative to asphalt roads in rural areas. Pipe Bedding Material – Some contractors like to use pea gravel for plastic sewer line protection, asserting that pea gravel settles less than sand in the pipe trench​. Garden and Weed Management – A maintenance free alternative to mulch compost.